FEVER - Website of doctorlovejoy! The body's average temperature when it is measured orally is 98.6° F (37° C), but it normally fluctuates during the day. Mildly increased temperature (100.4 to 101.3° F or 38 to 38.5° C) can be caused by exercise, excessive clothing, a hot bath, or hot weather. Warm food or drink can also raise the oral temperature. If you suspect such an effect on the temperature of your child, take his/her temperature again in a half-hour. Always measure the fever before calling the doctor. Fever is a symptom, not a disease. It is the body's normal response to infections, and it helps the body fight infections. The vast majority of fevers are not harmful. Most are caused by viral illnesses; some are cause by bacterial illnesses. Teething does not directly cause fever, but putting hands in the mouth during teething can predispose to introducing infections. Most fevers last 4 to 10 days. In general, the height of the fever relates only slightly to the severity of the illness. Associated symptoms, and also how sick your child acts is what counts. Fever causes no permanent harm until it reaches 107° F (41.7° C). 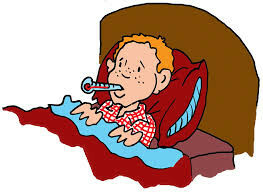 While all children get fevers, only 4% develop a brief convulsion from the fever. Since this type of seizure is generally harmless (although scary to witness! ), it is not worth worrying about excessively. If your child has had high fevers without seizures, your child is probably safe. --any child with worrisome symptoms, such as stiff neck and headache; strange rash; severe ear pain; rapid breathing, or if the child looks ill.
All of the above increase the risk of a significant bacterial illness requiring urgent evaluation and treatment; that said, many are harmless viral infections. Of note: while all children get fevers, only 4% develop a brief convulsion from the fever. Since this type of seizure is generally harmless (although scary to witness! ), it is not worth worrying about excessively. If your child has had high fevers without seizures, your child is probably safe. Extra fluids and less clothing: Encourage your child to drink extra fluids, but do not force him/her to drink. Popsicles and iced drinks are helpful. Body fluids are lost during fevers because of sweating. 1) Paracetamol/acetaminophen products: Children older than three months of age can be given any one of the acetaminophen/paracétamol products. The most common brand name in the U.S. is Tylenol: in France some common brands are Efferalgan and Dolipran. The generic product is identical to the brand name product, and almost always less expensive. Remember that fever is helping your child fight the infection. Use drugs mostly if the fever is over 101.3°F (38.5°C) and preferably only if your child is also uncomfortable. Two hours after they are given, these drugs will reduce the fever 2 to 3°F (1 to 2°C). Medicines do not bring the temperature down to normal unless the temperature was not very elevated before the medicine was given. Repeated dosages of the drugs will be necessary because the fever will go up and down until the illness runs its course. If your child is sleeping, don't awaken him for medicines. Dosage of paracétamol/acetaminophen: The concentration in the French brands is different than with Tylenol. To avoid confusion, remember that the dose is always 15 milligrams per kilo, to be given no more than every 4 hours. The French suspensions come with a syringe which is pre-dosed based on body weight. If your infant is under 12 weeks of age, call your doctor and don't give acetaminophen. 2) Ibuprofen: Ibuprofen is slightly stronger than paracetamol in its ability to lower fever (and to treat pain). Another advantage ibuprofen has over acetaminophen is a longer lasting effect (6 to 8 hours instead of 4 to 6 hours). Children with special problems requiring a longer period of fever control may do better with ibuprofen. Ask your French pharmacist for either "Ibuprofène" or Advil. As with paracetamol/acetaminophen, the suspensions come with a syringe which is pre-dosed for kilo of body-weight. OF NOTE: French GP's and pharmacists often incorrectly warn that Ibuprofen is less safe than paracetamol/acetaminophen. Multiple US studies show a similar good safety profile when used appropriately. 3) Combining or alternating acetaminophen and ibuprofen: there is generally no need to do this. 4) Avoid aspirin: The American Academy of Pediatrics recommends that children (through age 21 years) not take aspirin if they have chickenpox or influenza (any cold, cough, or sore throat symptoms). This recommendation is based on several studies that have linked aspirin to Reye's syndrome, a severe encephalitis like illness. Most pediatricians have stopped using aspirin for fevers associated with any illness. Sponging: Sponging is usually not necessary to reduce fever. Never sponge your child without giving him acetaminophen first. Sponge immediately only in emergencies such as heatstroke, delirium, a seizure from fever, or any fever over 106°F (41.1°C). In other cases sponge your child only if the fever is over 104°F (40°C), the fever stays that high when you take the temperature again 30 minutes after your child has taken acetaminophen or ibuprofen, and your child is uncomfortable. Until acetaminophen or ibuprofen has taken effect, sponging will just cause shivering which is the body's way of trying to raise the temperature. * Your child is less than 3 months old. * The fever is over 105°F (40.6°C). * Your child looks or acts very sick. * Your child is 3 to 6 months old (unless the fever is due to a DTP shot). * The fever is between 104 and 105°F (40 and 40.6°C). * Your child has had a fever more than 24 hours without an obvious cause or location of infection. * Your child has had a fever for more than 3 days. * You have other concerns or questions.